Wild Number Games, 9-Ons, and More! In bingo, it doesn’t matter if you are an experienced player or a newbie. As long as you are in luck, you can win a fortune from playing bingo games! 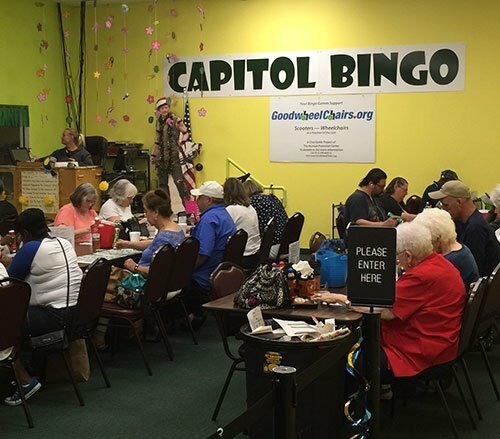 Come in for a session or two of your favorite bingo games here at Capitol Bingo in Austin, TX. Whether you’re in the mood to play wild number games, paper or computer, we have you covered! Browse through this page for more information about our daily bingo game schedule. We also offer a variety of special promotions and exclusive packages for your complete satisfaction. We also specialize in $500 and $599 pull tabs. No other bingo hall offers exhilarating bingo games and incredible prizes like Capitol Bingo. Drop by today, participate in any of our scheduled bingo games, and you may just win surprising rewards! If you wish to learn more about our game schedule, call us today. Our representatives are more than willing to provide you with all of the helpful information you may need. Lots of $750 Games ALL DAY LONG!! Come celebrate your Birthday at Capitol Bingo and receive a computer and a paper for only $1 each per session. Click on the provided link to sign up for our Bingo’s Best Reward Program! Proceeds of our bingo games will go to the following local non-profit organizations. Please take the time to visit their websites and learn why they deserve your support!